Update 1.1 Coming Next Week! After a some exciting rounds on the Community Test Branch we are almost ready to push Update 1.1, featuring Multiplayer Campaign, to the live build! Our current projection has this update deploying next week. Brand new to Rising Storm 2: Vietnam is the Multiplayer Campaign mode! A deep, tactical mode which takes place over several battles, where the fate of the Vietnam War will be decided. Players must choose a side, and vote on tactical decisions, such as where to attack, where to defend, and which of their faction’s armies they will proceed in to battle with. In order to win the Campaign, you must either end the 11-year period of the war with more Victory Points than the opposing team, or capture every territory on the map. Each year comprises of a single battle where winning those battles will earn you new territory along with victory points. As the timeline of the war moves forwards through the Campaign, each of the armies’ equipment and available commander abilities change. For example, after the Paris peace accords in ‘73, the US and ANZAC forces withdraw, which leaves the Southern team with the ARVN for the last two years of the war. As you fight your way through the duration of the war, real-life technological advancements and political events have a meaningful impact on the flow of battle. Each faction also has a special ability - the Ho Chi Minh trail for the North, and Search and Destroy for the South. These both grant unique, asymmetric advantages for a single battle, and run on a three-turn cooldown which players must vote to either use or not once they become available. One of the major pieces of feedback we received from the CTB was that there was community desire for end-of-Campaign cinematics or flare for the winning team - we hear you and are working towards getting these together for a future patch. This means that in its first iteration with 1.1 there will not be any cinematic for the end of Campaign, however expect to see something at the end of a Campaign in the near future. Improved indication of what resources or technology are available for each period of the war - an indicator now displays on the right of the Region infobox showing what is available. We want to express our gratitude to everyone who took part in the CTB and gave us their feedback! We couldn’t have made those changes without you. Recoil reduction while in a supported stance such as Crouch or Prone have been increased to make their effects more noticable and useful. 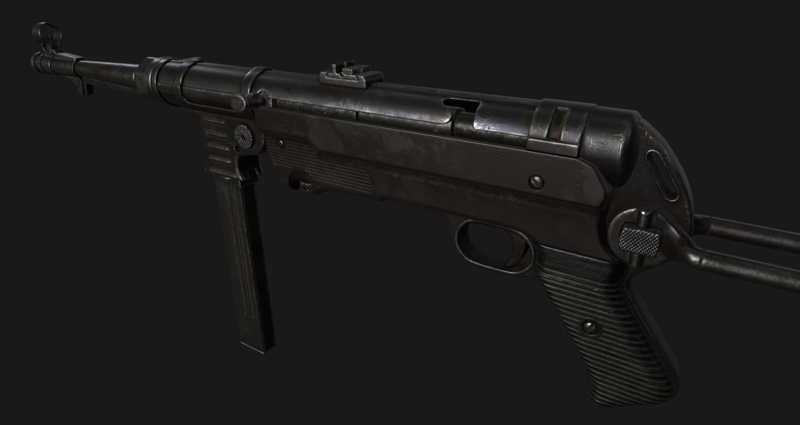 Resting your weapon is a great way to reduce its sway and recoil. The effect from resting your weapon has been increased to also have a noticeable benefit. Fixed a bug that caused sniper rifles to have more sway from suppression and stamina loss than any other weapon. Added the ability to place Tripwire Traps on a larger variety of surfaces, with a time penalty for harder surfaces such as rock and concrete. To create more distinction between the NLF and PAVN factions who fight for Communist North Vietnam, NLF roles have been changed to reflect the guerilla nature of their forces, versus the standing army of the PAVN. 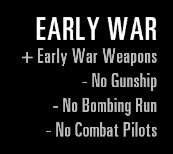 Throughout the Multiplayer Campaign players will experience loadout changes throughout the war. There are three periods in which resources and technology changes in the Campaign. These periods are Early, Mid and Late War. 1.1 marks the official and long awaited release of Highway 14 into the Official map rotation. Please note, this map is still considered as Beta. Thank you to community mapper Dziga Vertov for letting us use this gargantuan map! Highway 14 sees the United States Army square off against the NLF in a gruelling conflict up a beautiful highway, and through several small towns. It also features the largest number of objectives to fight over in any of our stock maps, going all the way up to Objective M.There’s been a massive amount of bug fixes and optimization work done on the road to making Highway an official map, and we can’t wait for everyone to check it out! Reinforcement numbers have been tweaked for the following maps. We aim for reinforcements being the reason for a win/loss at rate of 10-15% overall. Some of the following map’s had reinforcements deciding the winner 20-40% of the time. We have remixed the audio in Rising Storm 2: Vietnam to ensure proper directionality of combat sound. We have also increased the volume of environmental audio, foley and footstep sounds, and rebalanced various audio elements. We have also improved third person weapon sounds, and ensured that third person weapon firing and third person weapon decay are split out and handled independently. Changed the color of Commander and Spectator chat to prevent confusion/mistaking these messages for server messages. The new colors are: Orange for Commander, and Seafoam for Spectators. 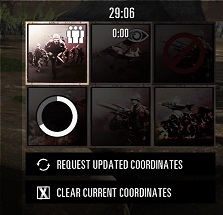 Added a progress bar for Commanders that shows when they initiate their Commander Ability, confirming that the order has been received and how long before the ability has completed the call-in process. Added a checkbox to the Video Settings menu to enable or disable Texture Streaming. Additionally, an option was added for “Only Stream in Textures”. Random pop-up Tips will now only show when the player is dead and spectating. Triggered Tips are still triggered during gameplay. And what is that? A hint at what is coming next (not included in Update 1.1)? This is fixed? https://steamcommunity.com/sharedfil...?id=1512432626 don't see any mention of that anywhere. Not sure what you are pointing out as wrong here. I don't know, isn't the sight supposed to be aligned, to.. aim? I'm aiming at the wall and you see the sight is completely misaligned, and you can even increased this misalignment if you move left/right while aiming. I noticed it after playing for one or two maps the other day (did not really play the past years actually).. So I'm completely dumb or nobody noticed and reported that problem since months.. There are features in the game to make the sights misaligned, such as moving the weapon or firing. However they should settle back to aligned. If it got stuck mis-aligned, this is a bug but I would need more of a reproduction case to pass along as I don't believe we have ever seen it locally. I have no repro, I jumped in a game, played scout both round, mat 49 was all the time like that. As said I was completely steady, aiming at a wall without moving at all. What is weird is that it looks like it is aligned from the weapon, but obviously you see the tip of gun has the sight misaligned.. weird. I'll jump in game right now to see if it is ingame like that. Last edited by �omano; 09-17-2018, 01:43 PM. Definitely like that officially in game. Last edited by �omano; 09-17-2018, 01:48 PM. You are using the MAT with the folded stock. After the last update the game saves your weapon "stance" so if you folded the stock it would stay this way the entire time until you unfold it again. Then you can 'properly' aim again. It's no bug. Well it's gotta be a Chocolate Jesus to keep me satisfied. your stock is folded bro. OK So that's normal. Thanks for the precision guys. Last edited by �omano; 09-17-2018, 11:17 PM.